No matter what time of year or what kind of terrain you work, Usewood Forest Master is ready to work with you. Tough job in young forests can be done easier, productively and in comfort. Using Forest Master you will step in a new era of forestry. Usewood Forest Master small harvester gives you environmentally friendly way to manage young stands. Light and small harvester moves easily and gently in full density young forests leaving hardly any tracks. 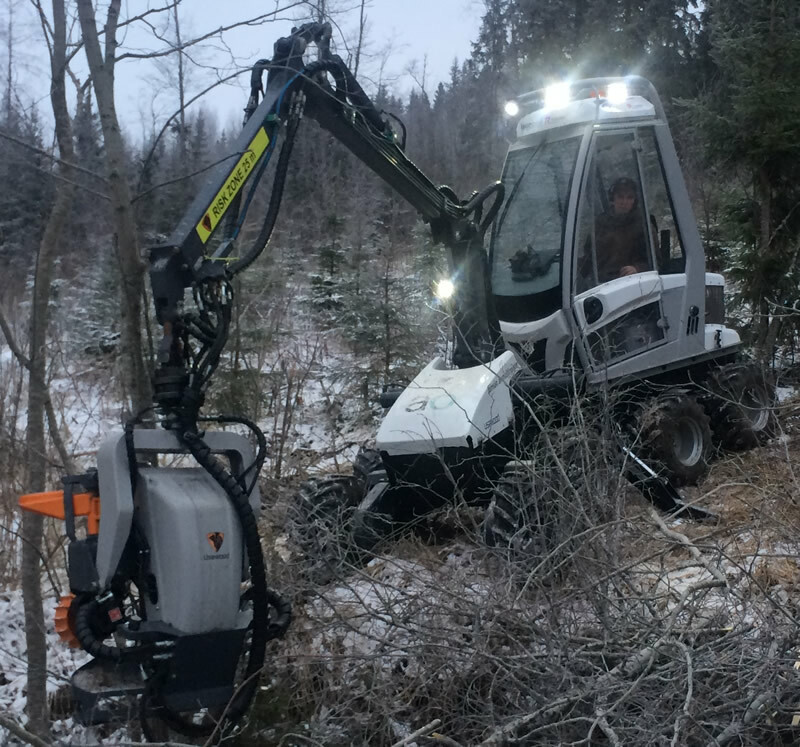 With low fuel consumption, user friendly controls, easy maintenance and transportation, efficiency, to name a few, the Usewood Forest Master is A perfect machine for young forest management. 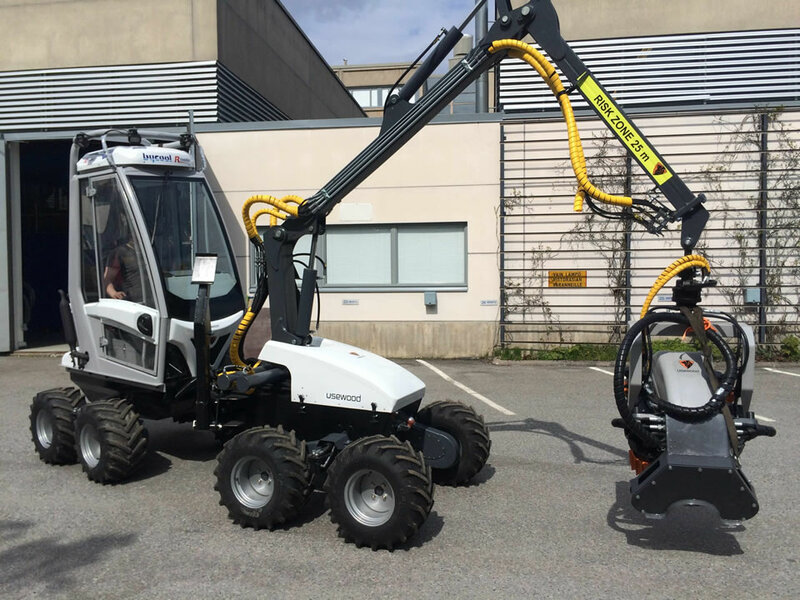 With a 0 to 100 l / min variable displacement pump and load sensing Bosch Rexroth LUDV valves the Usewood Forest Master's hydraulic system is as modern as can be. The hydraulic systems takes care that all parallel movements are always maneuvered with the speed that the driver wants. Multiple simultaneous movements do not slow each other down. The load sensing hydraulic system works with a great efficiency, minimizing the already small fuel consumption of Usewood Forest Master. Advanced hydraulics need advanced control systems to make use of 100% of their capacity. Usewood Forest Master operates with 7 different individual controller modules connected together with the industry's standard CAN-bus to control hydraulic pump, valves, motor, power consumption, driver controls, cabin peripherals and harvester head. Dividing responsibilities among controllers also divides the risks for system failures. With intelligent power control, Usewood Forest Master can control the motor and hydraulic pump as efficiently as possible to provide faster movements and move power to the crane and harvester head. When developing the machine, we wanted to keep the reliability of the electrical system the top priority. That's why most of the controllers are our own design, made specifically for Usewood Forest Master. By developing our own controllers with our own software, we can be sure that the machine is build with a good quality electrical components and the software is easy and fast to maintain, and also the price tag of the machine stays low. Our top priority was to design a machine that's as easy and reliable to use as possible. 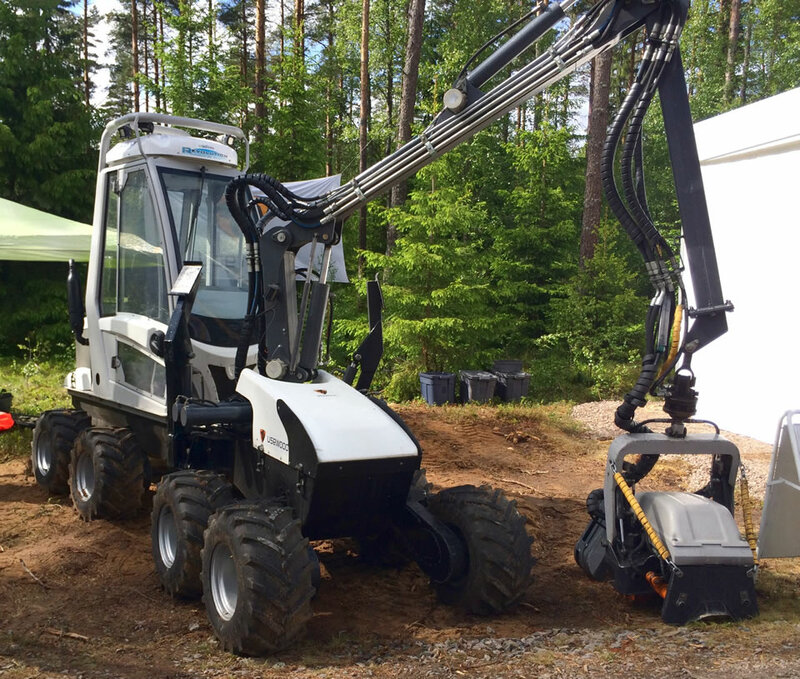 As young forests have big tree densities and the plants need to be left undamaged, it's important for the machine to have a precise crane. That's the reason why we redrew the whole crane with stronger structure and bigger hinges to sustain the environments challenges. 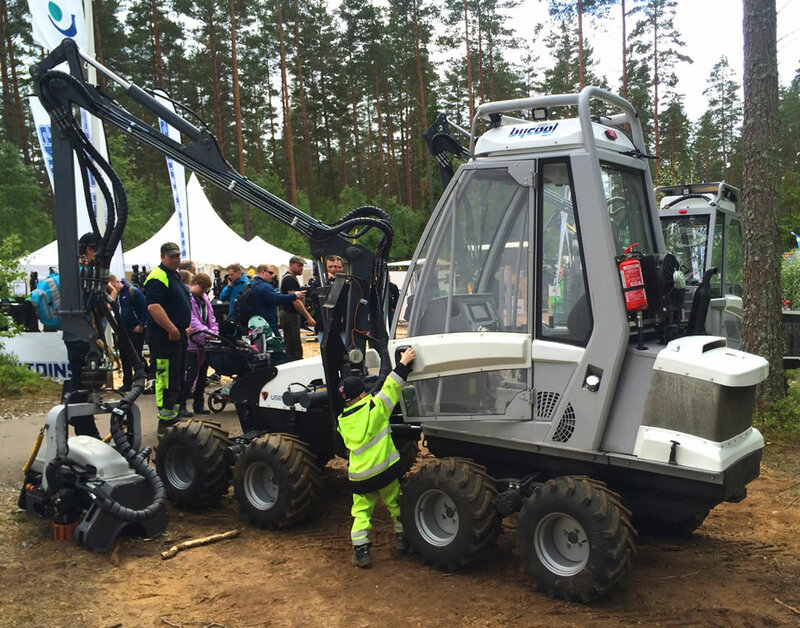 With the aid of the Usewood Forest Master's control system the driver can adjust the crane to operate just the way as he wants. With all technical improvements we also redesigned the looks of the machine. But not only for visual purposes. By making the front and back bonnet from plastic they endure much more scratches and hits than before and are very cheap to renew to make an old machine look as good as a new one. Approximate values for all specifications.